On July 17, 1938, Douglas “Wrong Way” Corrigan made quite a name for himself in flying. It was not as big a name as Charles Lindbergh, perhaps, who made the first solo trans-Atlantic flight just over ten years earlier, but he definitely became rather famous. Corrigan had been flying since he was a teenager and was one of the many employees of Ryan Aeronautical Company, who built Lindbergh’s plane The Spirit of St. Louis. 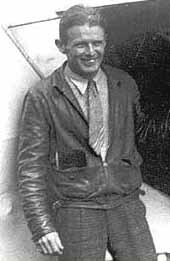 He had always wanted to perform his own solo trans-Atlantic flight, and so he bought a used Curtiss Robin OX-5 monoplane called Sunshine and began making extensive modifications. He applied, repeatedly, for clearance to fly from New York to Ireland, but was denied every time on the grounds that the Sunshine was unstable and not safe enough for a flight that long. On July 9, 1938, he flew from California to New York, planning to return to California on July 17. However, when he took off from New York to California, something happened, and, instead of heading west, he flew east, landing in Ireland 28 hours and 13 minutes later, leaking fuel into the cockpit from his almost empty tanks. In fact, he cleared the cockpit of dangerous gas fumes by punching a hole in the floor with a screwdriver, on the far side from the hot exhaust pipes. Most of the world has had a good laugh at Wrong Way Corrigan and his “accidentally” ending up exactly where he’d wanted to go all along, even though officials wouldn’t let him. In fact, he received numerous congratulations from different people, both in America and Ireland, and the aviation authorities couldn’t do anything beyond suspending his pilot’s license – for a whole two weeks. Nevertheless, Corrigan maintained for his entire life that it truly was an accident, that he’d gotten turned around due to clouds and a faulty compass, and didn’t realize his mistake until 26 hours later. This entry was posted in Uncategorized and tagged July 2013, wrong way corrigan day. Bookmark the permalink. I remember hearing that phrase, ‘Wrong way Corrigan,’ from time to time as a little kid. When I say it in my head, I realize I always kinda mutter the name Corrigan, so I guess I was young enough I was never really clear what the adults were saying. I just knew they were teasing about a mistake someone had made whenever it was said. Thanks for the explanation! I’d forgotten where it came from. Given the date, I’d guess my parents, born in the 30s, heard it from their parents a lot as small children. If you’d asked I’d have probably thought it came out of a Gilligan’s Island episode! It sounded vaguely familiar to me, but so vague I didn’t have a clue. When I saw the story though, I was pretty amazed, and figured I had to include it on the blog. Yes, although it was “before my time,” (ahem), I knew the story but had forgotten the details (where he landed, etc.) Even during our “exploring,” I don’t think we’ve ever actually gone the opposite direction, just taken detours. You know the definition of a happy man: One who can enjoy the scenery even on a detour! However, I’m thinking Corrigan probably didn’t see much scenery over the Atlantic! Probably not! Apparently he had strapped extra fuel tanks on the front of his plane (not sure how that worked!) and he could only see out his side windows. That, and the hole he made in the floor to get rid of the gas.